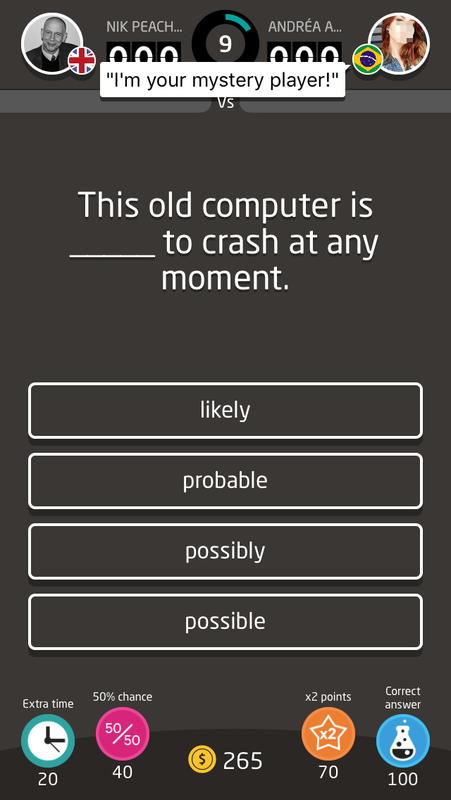 The ‘Quiz Your English App’ is a great new free app available for on both iOS and Android that has been designed to make English learning and revision into an engaging, enjoyable and addictive game. Once your students have installed the game they need to register either by using a Google or Facebook account. 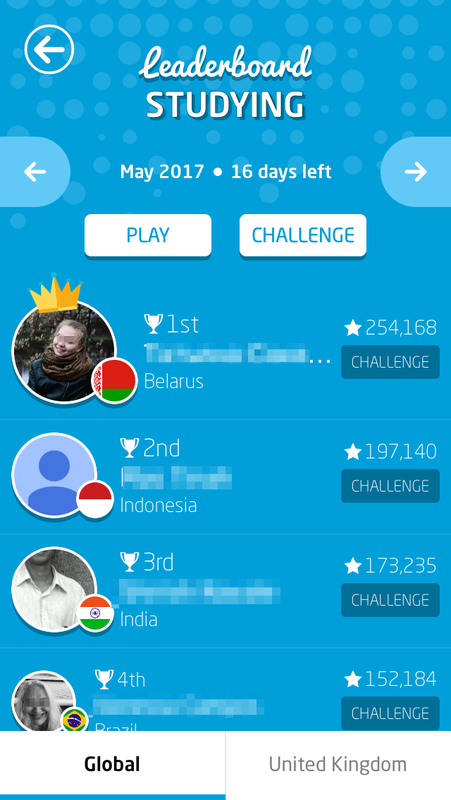 Once registered students can challenge other users in competitive language quizzes. They do this by clicking on ‘Play’ and then choosing a topic. Once they have their topic, the app will match them up to an opponent and they then have to answer a sequence of five timed questions. The students then have ten seconds to answer the question. The student that answers correctly first scores more points. The whole quiz is finished in less than 1 minute and then the students can ask for a rematch or challenge someone else. As the students gain points they are added to a scoreboard and they can search through the scoreboard and challenge other players. 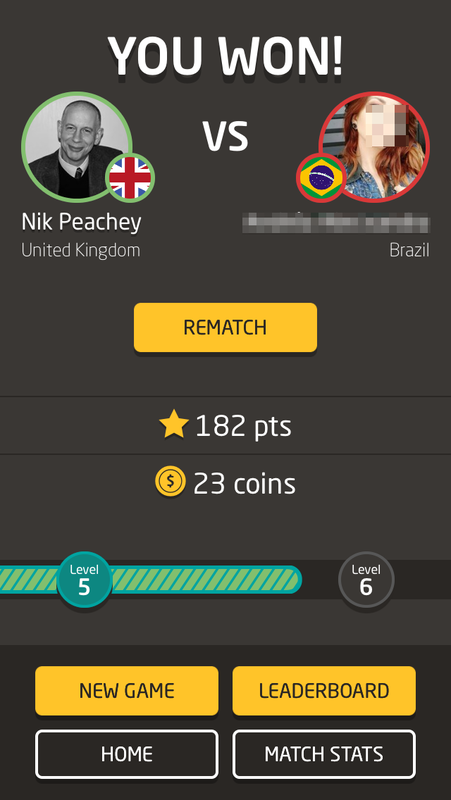 By clicking on ‘Results’ students can review their past games, see how they scored and look at which questions they got right or wrong. This is a really simple but very well designed app that will keep students at a lower intermediate + level engaged with and reviewing language on a regular basis. 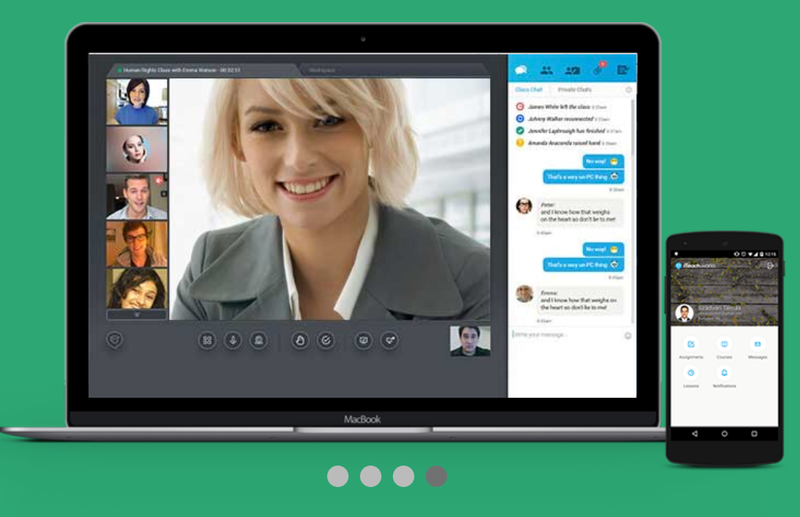 It would be a great tool to use as a filler in the classroom for students who finish early or for some autonomous learning tool. You could also start your class by getting students into pairs or small groups to share the questions they got wrong and work together to try to find out why their answer was wrong and which one was correct. There’s a lot to like about this app. 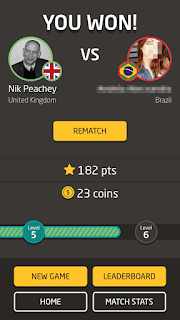 I actually really enjoyed playing it myself as a native speaker, so for students who are drawn to competitive games this could be quite addictive. I also like that you know who you are playing against and where they come from, even though the app doesn’t enable any form of contact, so it’s still safe for students. The fact that the quizzes are so short also keeps the interest levels and students can quickly go to reviewing their answers or play another opponent. There is of course a commercial element to the app and there are in-app purchases so that students can buy particular quiz packs, including one for IELTS, but this could be a really good way for students to do some enjoyable revision and improve their score. I have some reservations about having to register using my Facebook or Google account. This is great in that it reduces the chances of students forgetting or losing passwords and automatically creates their profile and enables them to challenge other friends on Facebook, but it would be nice to have a log in option for students who aren’t Google or Facebook users or ones that prefer to opt out. 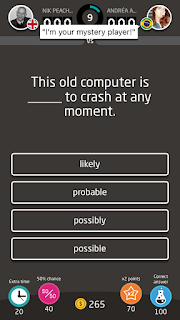 On the whole I think Quiz Your English is a great app and can add a really useful dimension to your students’ learning and your classroom teaching. I hope you and your students enjoy using it. 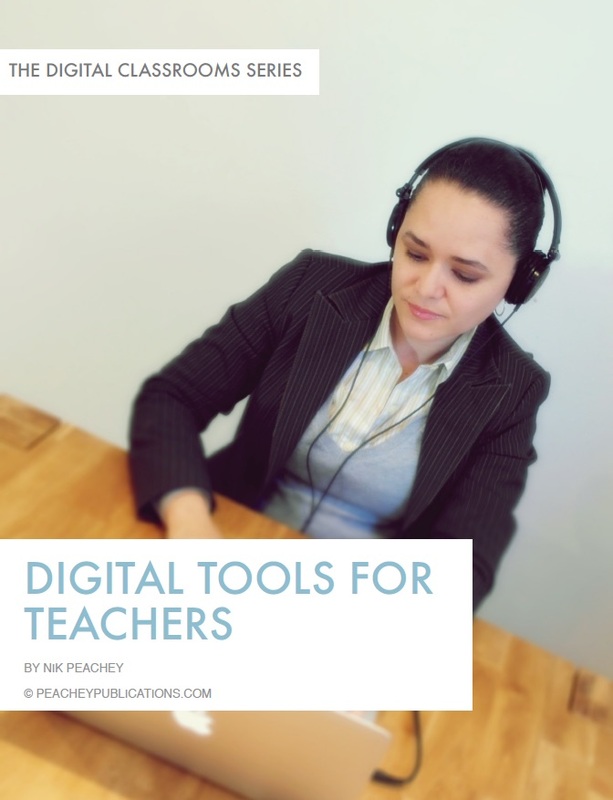 You can find links to many more tools like this and activities for the digital classroom in my ebooks at: https://peacheypublications.com/. All my ebooks are available for iOS and as PDF.